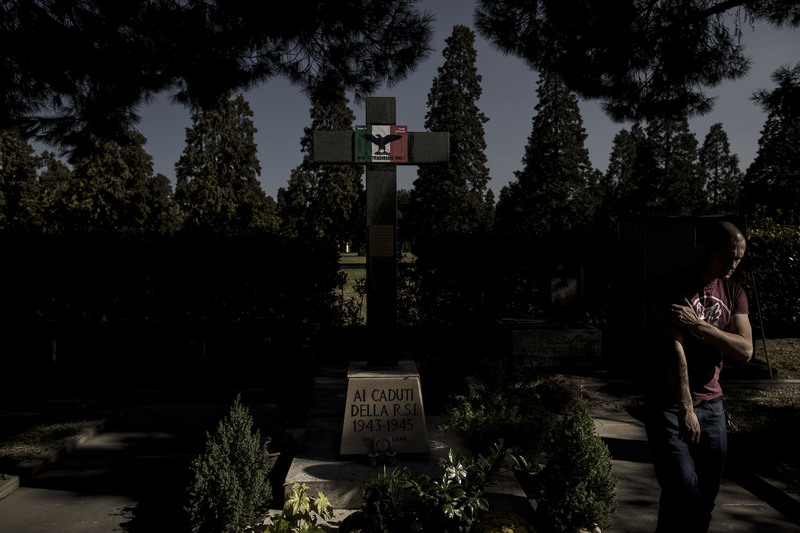 Members of the fascist Lealta e Azione group visiting a cemetery in Milan where many Italian fascists are buried. Lealta e Azione members help look after the site. - Nobody else cares about these graves. We clean them, cut the grass, lay down flowers and make sure it doesn't decay, says spokesperson for Lealta e Azione, Riccardo.